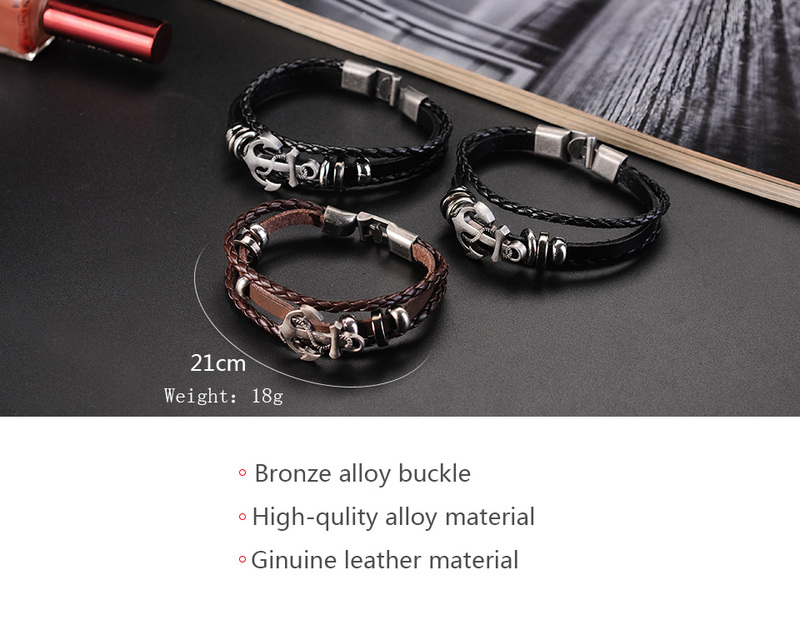 High quality metal alloys and leather material are assembled by skilled craftsmen to create this captivating accessory. 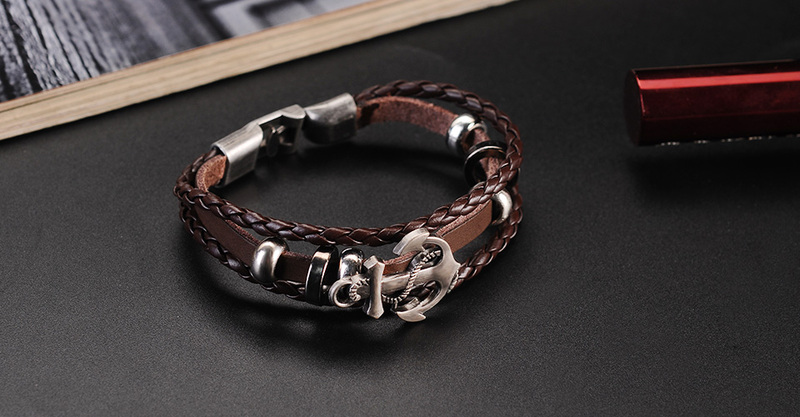 This vintage leather charm bracelet is multilayered. 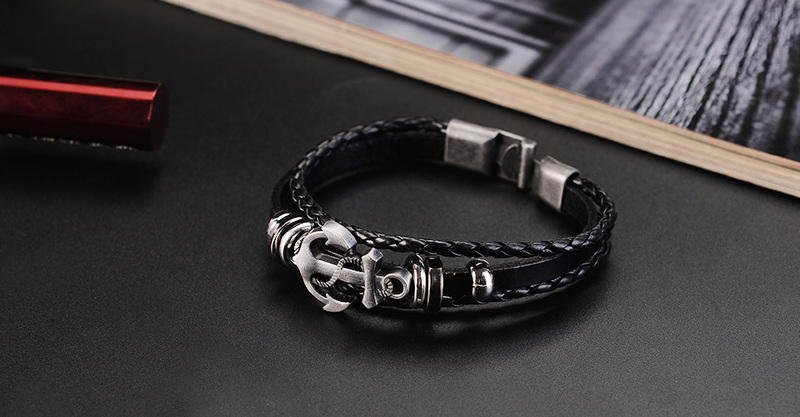 It comprises of woven rope leather and leather strapping that on one end tethers to an anchor-shaped decoration while the other end is connected to an ingenious clasp for safety. The length of the bracelet can be adjusted to fit on most wrists ensuring no one misses out on this trend.